"In the magical universe there are no coincidences and there are no accidents. Nothing happens unless someone wills it to happen." William S. Burroughs. 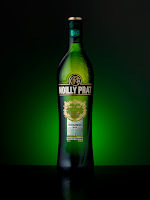 Well, maybe so; then who has willed within a couple months this year the return of both Bols Genever and the other main ingredient in the Holland House cocktail, Noilly Prat, back to the U.S. in the original formula? Are You Brillat-Savarin or Baudelaire?